FOR CURRENT OFFERS, EVENTS PLEASE GO TO OUR FACEBOOK PAGE. Step back in time and discover Saint Joseph, Missouri. It’s our pleasure to have you stay with us during your visit to Saint Joseph. Whether you want to relax or be active, we’re sure you’ll enjoy your stay. The Charles is a Colonial Revival style home built in 1898. 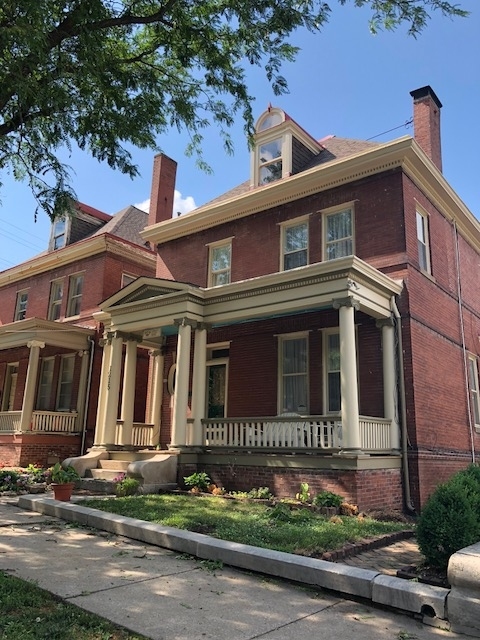 Located in the Museum Hill Historic District with events all year. The décor is comfortable with some antiques. Guests can use the living room, kitchen & dining room as shared space. Guests can rent the whole house or individual bedrooms. We invite you to take a step back in time. The Charles has been recently restored to be a vacation rental. The owners are celebrating 20 year anniversary in the rental business and welcome you to explore the page to see the many events going on in St. Joe. Book Now to enjoy a step back in time. 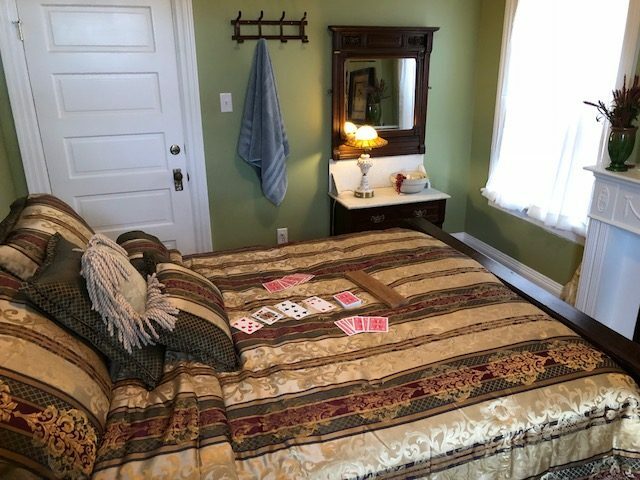 Guests have use of full kitchen with dishes, silverware, pots; washer and dryer, bed linens and towels included; forced air heat and AC; ceiling fans in every bedroom; continental breakfast. Street parking available; Guests must be able to walk up stairs. We strive to provide an exceptional level of service for every guest. The hostess is a couple doors away. Slow down & Take a step back in time. 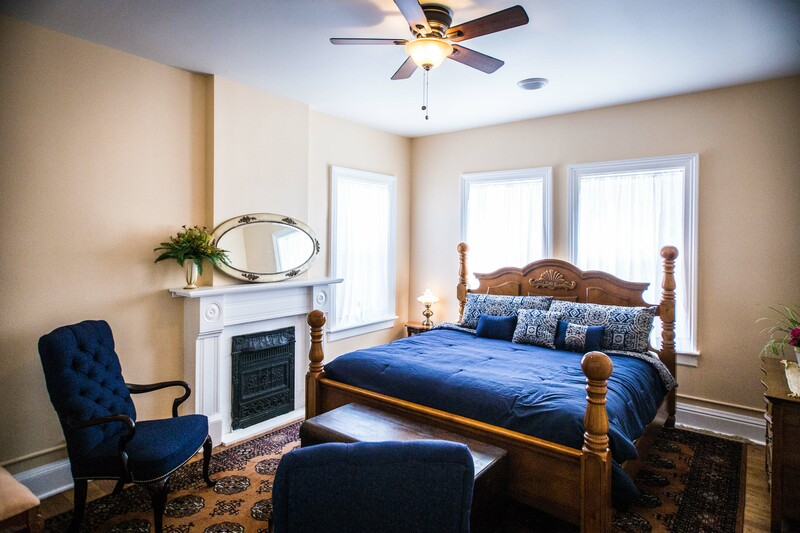 This master suite is appointed with an antique style king size bed, antique dresser and vanity and closet allowing you to take a step back in time. The non-working fireplace and mantel create an ambiance of days gone by. Central Air and Heat provide comfort. The en suite bathroom has a shower over tub. An oriental rug and oversized chairs make this a comfortable accommodation. 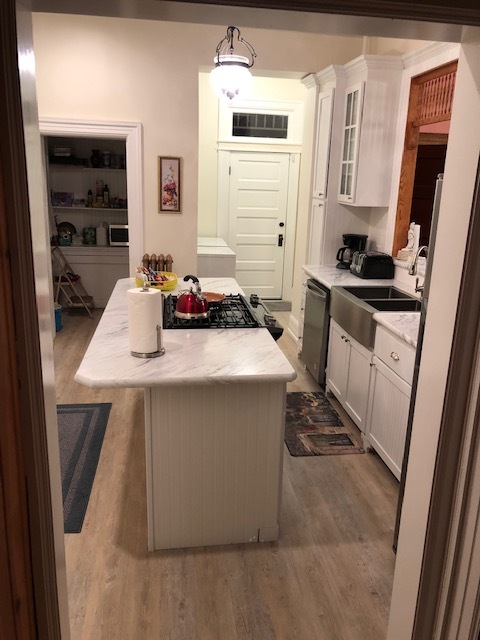 Use of the living, dining room, kitchen and washer/dryer are included. 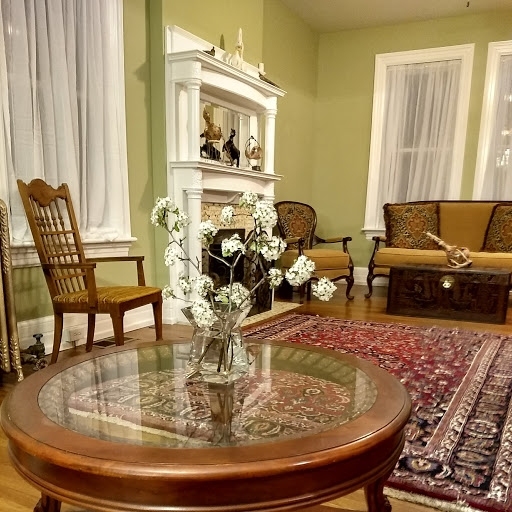 The view out the windows is peaceful with mature trees and other historic properties. Free Wi-Fi. There are many historic sites and museums in the area. Sunshine Room. 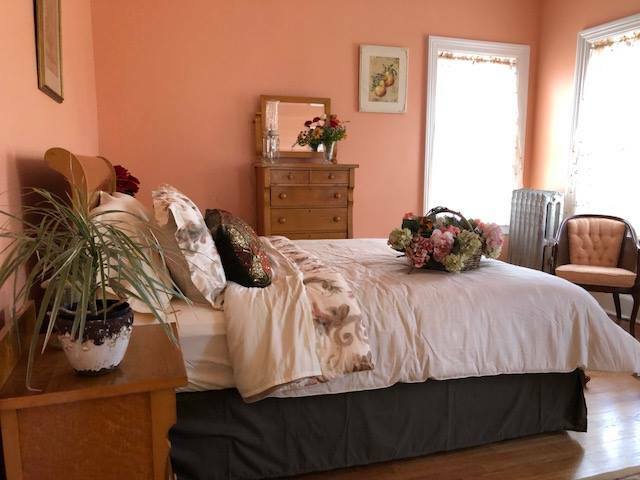 This room has an antique queen size bed with birds eye maple dressers, charming non-working fireplace and closet. The sunlight brightens this room up with its warm salmon colors. The view out the windows is peaceful with neighboring trees and open grassy area. 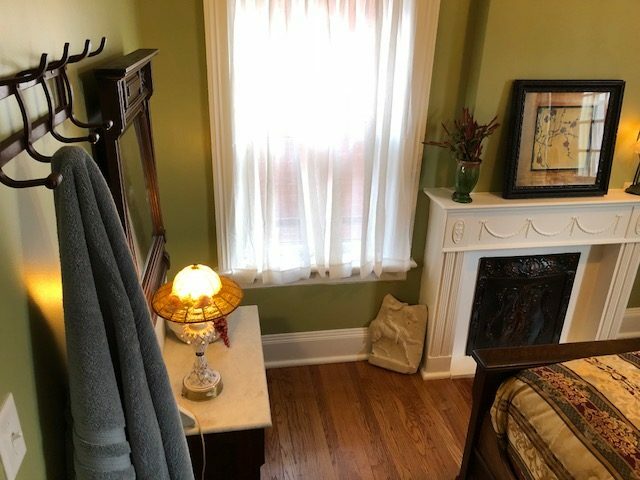 Shared bathroom down the hall .Use of the living, dining room, kitchen and washer/dryer is included. Central Air and Heat provide comfort. Free Wi-Fi. Renovated in November, 2017. 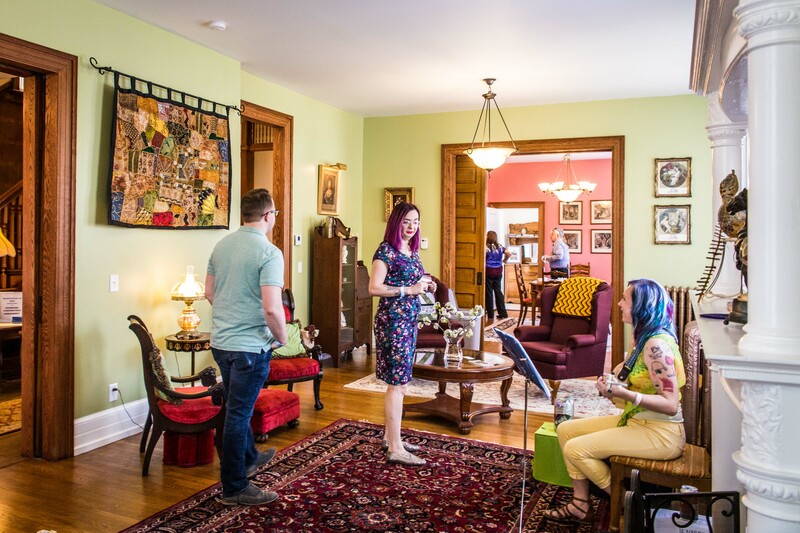 A relaxing atmosphere located in the heart of Saint Joseph, Missouri. 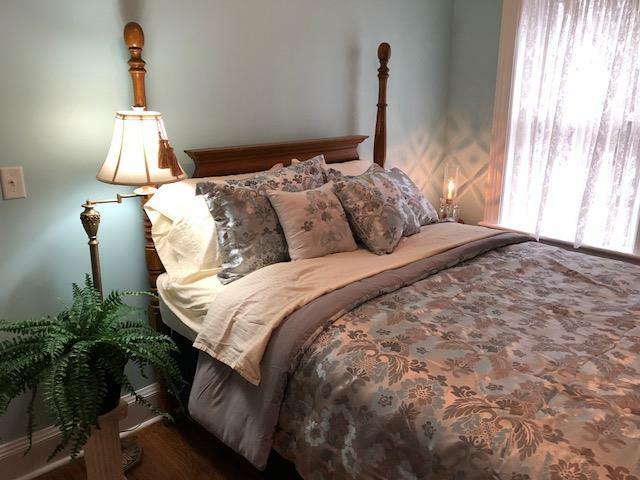 Guests have use of full kitchen with dishes, silverware, pots; washer and dryer, bed linens and towels included; forced air heat and AC; ceiling fans in every bedroom; continental breakfast. Street parking available; Guests must be able to walk up stairs.We strive to provide an exceptional level of service for every guest.The hostess is a couple doors away. Call or submit form for room rates and availability. We accept VISA, Master Card, American Express, Zelle, PayPal or through AirBnb or VRBO.